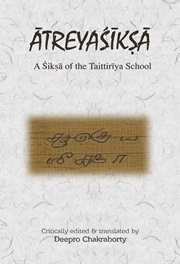 Atreyashiksha holds a unique position in the corpus of the Shiksha literature. It shows that the main aim of the text is to explain the practical aspects of the different ways of Vedic recitation, in whose connection it describes the theoretical elements of Shiksha too. The phonological rules, most of which are expressed in the Taittiriya Pratishakhya, are also illustrated in this text.